I’ve joined CFP because I feel like I need a push from someone, I feel like I don’t put enough hours in at the table these days so hopefully that will get solved and also I am pritty rubbish at NL(I call too much!) and think to get anywhere I am going to need a coach. This feels like it can be a new start for me as 2015 is coming to an end and so next year I can start afresh with learning NL and hopefully begin crushing the plebs! 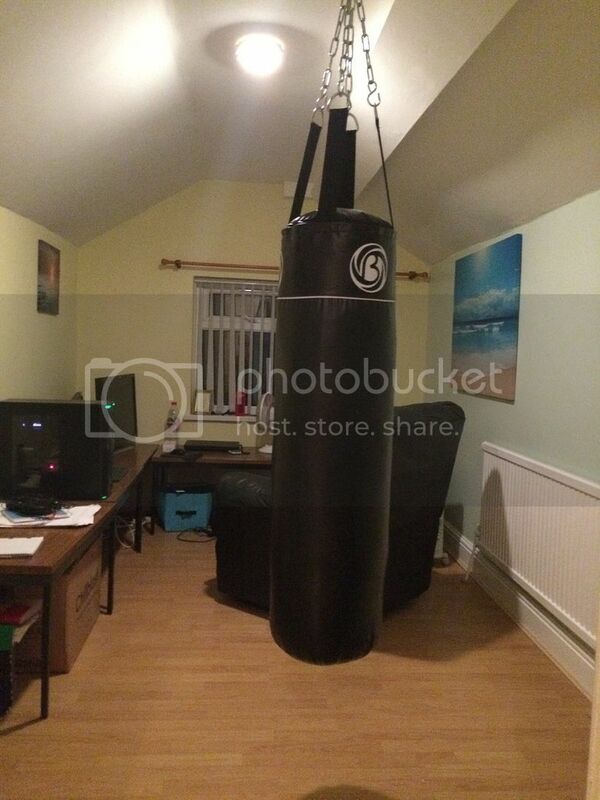 I’ve just finished my poker/gym room (pic below) which has no distractions(no tv!) so hopefully this year is going to be a good one! The punch bag is going to be useful for when I get sucked out on for the millionth time! Hi guys, now that Christmas and new years is well and truly over and everything has settled back down nicely I’m starting to put in a lot of hours so every day I will be posting my uhlvar updates here. Biggest error was this one where as I was trying to get my average time down! Had such a busy weekend I didn’t get to play poker and next week I have a wedding which is a all weekend event so going to smash poker this week. See you guys tomorrow! Not a very good day today, trying to watch a bpc video while I did them was not a good idea! Week in review, this is 95% 10NL and 25NL with some 50NL thrown in at the end(really bad river call in the one hand 🙁 ). 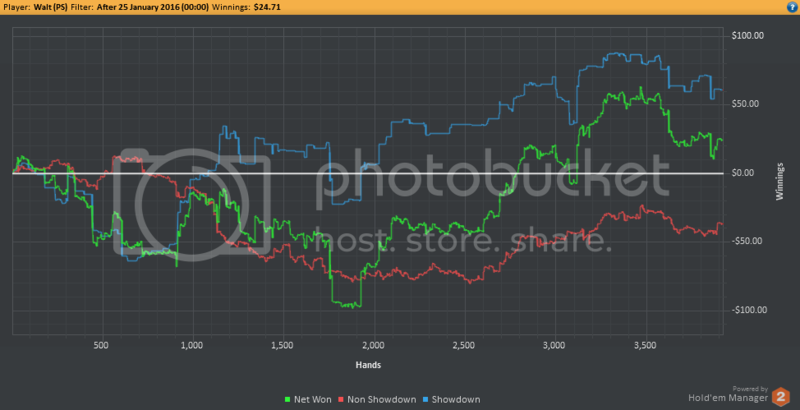 Plus there is another 600$ on a site which doesn’t support HEM so it was my best week ever for my NL career which made me happy 🙂 I had a wedding on the weekend in England which meant I was away all of Sat and Sun so didnt get to play as much as I wanted but think I managed around 35 hours which is better than the previous week.